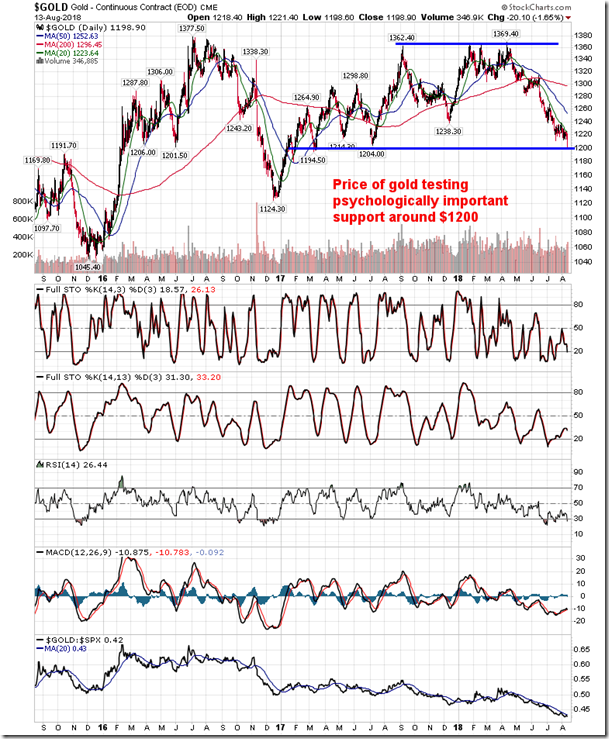 Gold back to a key psychological level and previous horizontal support around $1200. 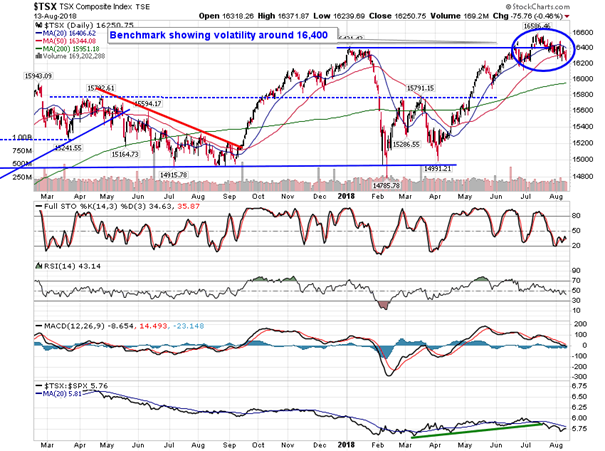 Stocks closed lower on Monday as the weakness that hit markets at the end of last week spilled over to the new. The S&P 500 Index shed four-tenths of one percent, holding below the gap that was opened during Friday’s session. 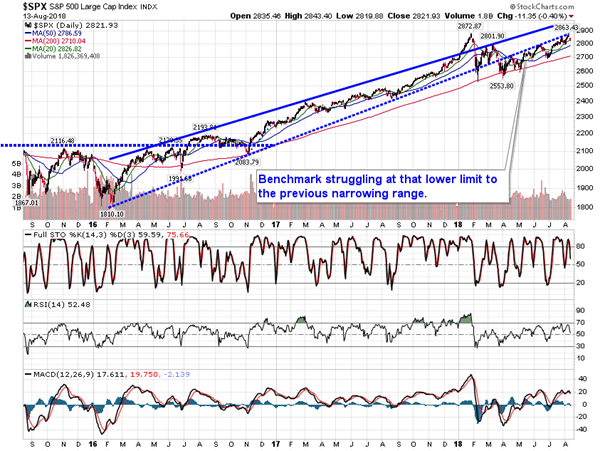 This is the second gap below 2850 on the large-cap benchmark, the first being back in January, which preceded the waterfall plunge in stocks shortly thereafter. 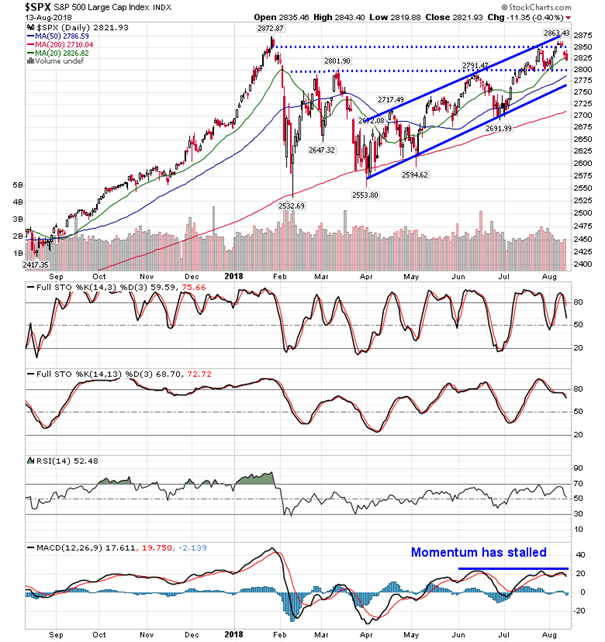 This level is proving to be a critical pivot point that could keep stocks under wrap until the next positive catalyst for stocks materializes. 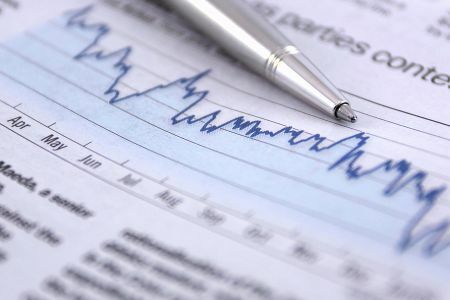 Investors that were trapped in positions following the January/February decline, and that are still holders today, may be the first to react as they attempt to exit positions closer to their entry points. 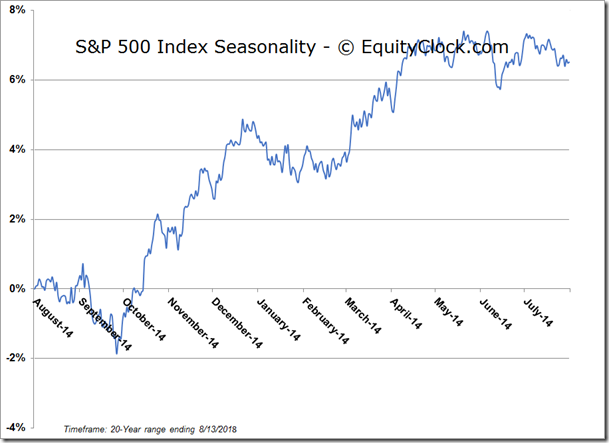 Seasonally, stocks are within their most volatile time of year, a period when significant shifts in either direction can materialize. 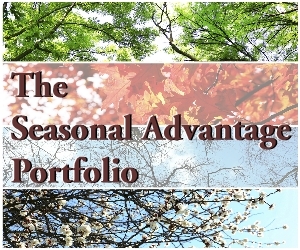 Constraining portfolio beta around this time of year is typically prudent. 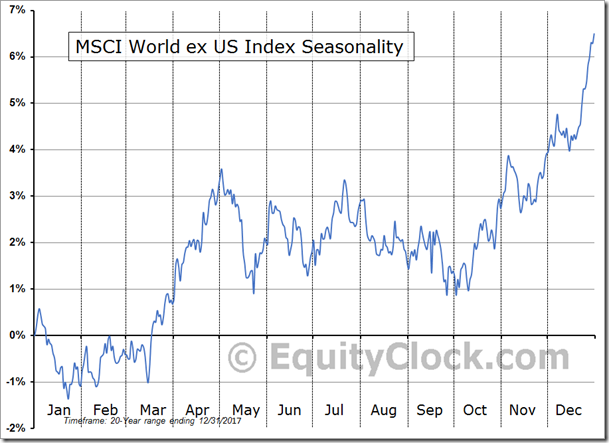 Continuing to weigh on stocks is the ongoing rise in the US Dollar, which is moving contrary to seasonal norms for this time of year. The Dollar Index was up another tenth of a percent on Monday, leading to weakness in a number of commodities, such as gold and oil. 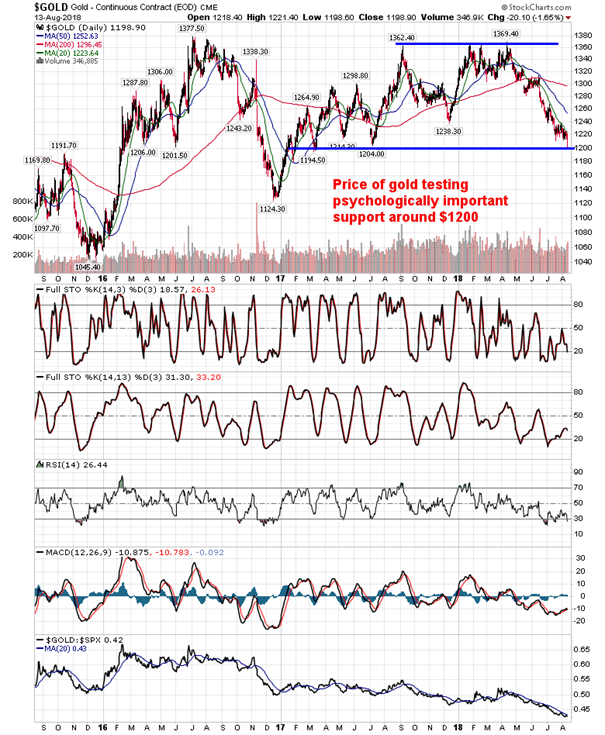 The price of the precious metal gapped lower to the tune of 1.4%, testing longer-term support around $1200. 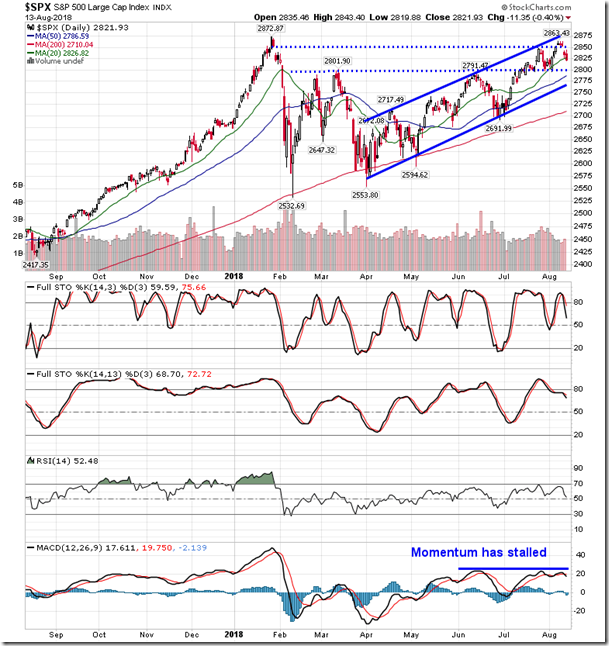 The next level of support below this psychologically important hurdle can be found at $1125, a move below which would complete a double-top pattern. The commodity turned lower from resistance around $1370 back in April, now trading in oversold territory. 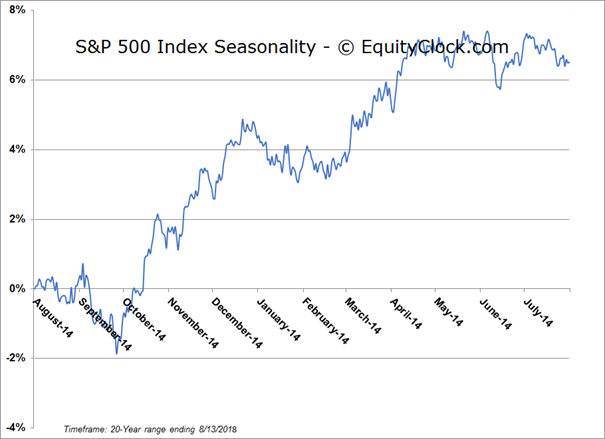 Seasonally, gold typically gains through the end of the third quarter, amidst the period of volatility for stocks, but an unseasonably strong dollar is mitigating this positive tendency. 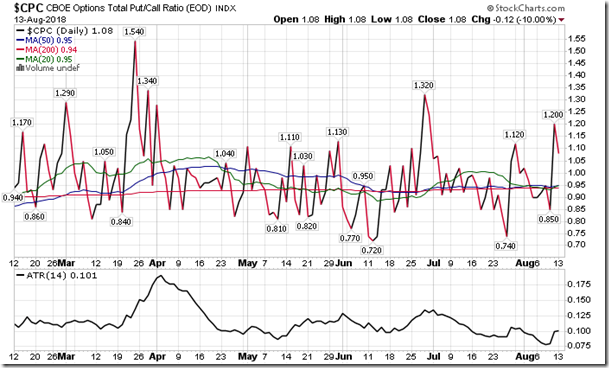 Market weakness has also gripped stocks around the globe. 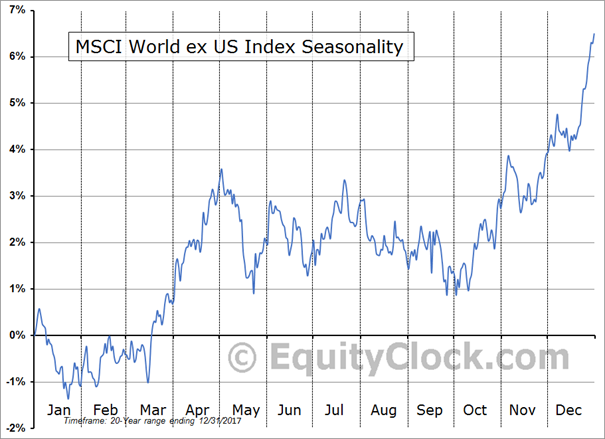 The MSCI World Ex US benchmark is lower by around 3% since the month of August began, trading back to around the lows of the year. 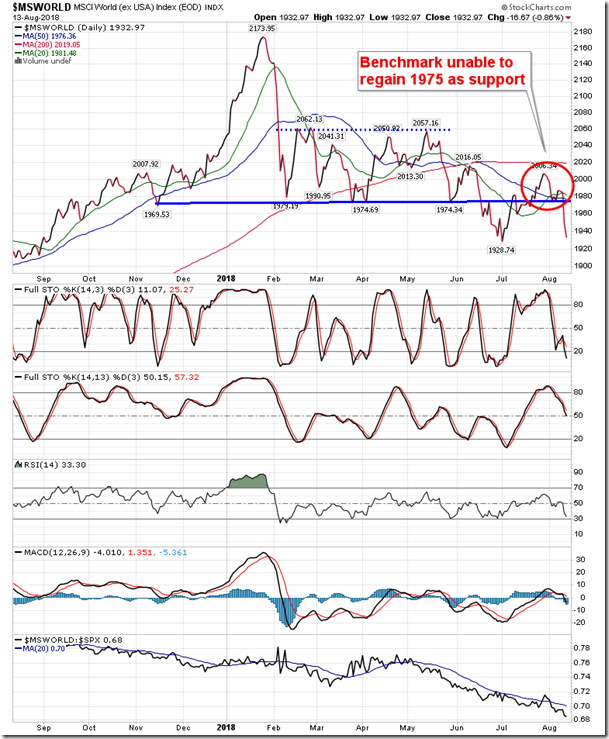 The benchmark had recently broken above previous support at 1975, suggesting a violation of the breakdown that was recorded back in June. 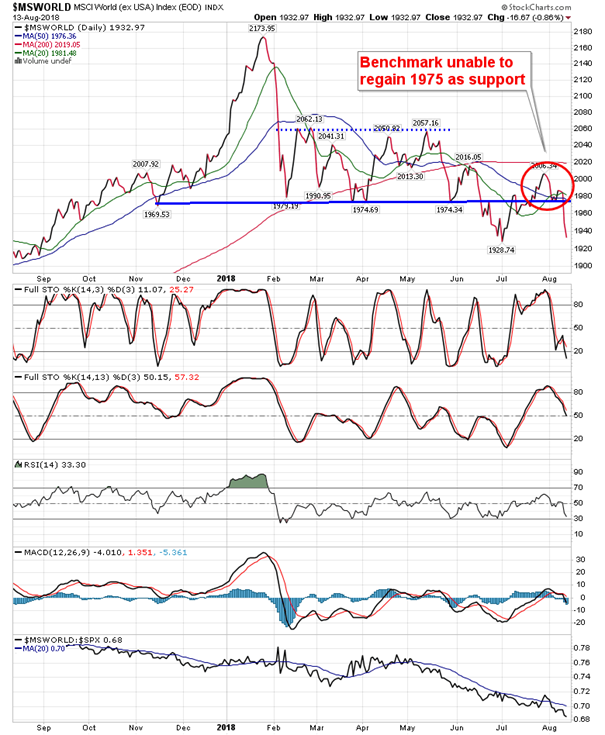 But the activity on Friday and Monday confirms that this level is not yet ready to act as support once again, suggesting a renewed downside bias. 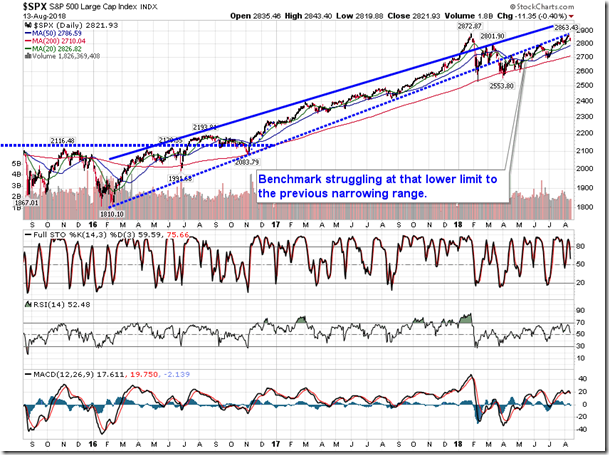 The benchmark is holding below its 200-day moving average, which is a dangerous position from a longer-term trend perspective. 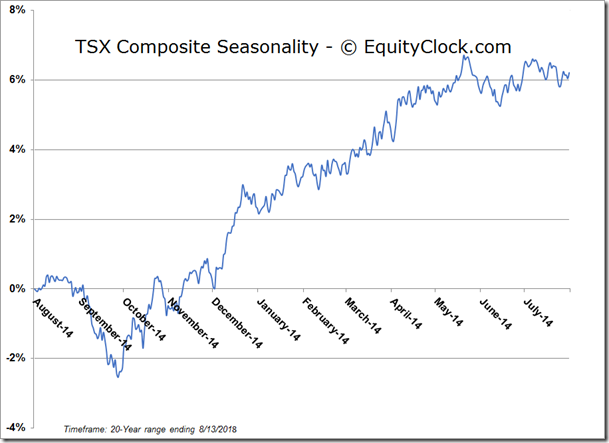 While the longer-term average remains rather flat, the risk of a decline is growing the longer that price holds below this hurdle. The last time that the 200-day moving average turned lower on this benchmark was at the end of 2014: the benchmark fell into bear-market territory in the years thereafter. 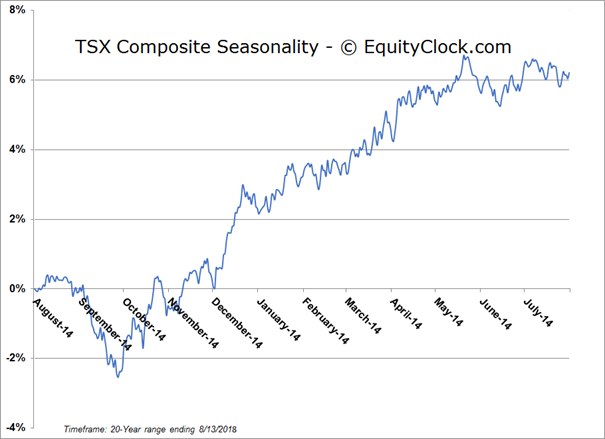 Seasonally, the global benchmark remains weak through the end of the third quarter. 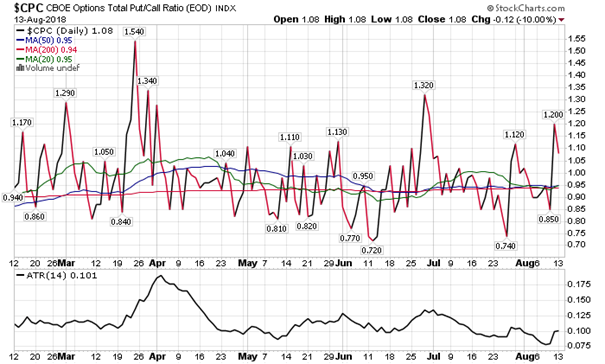 Sentiment on Monday, as gauged by the put-call ratio, ended bearish at 1.08.